It is now about 3 1/2 months since I started working again and I am still loving it! Before I made the decision to go back to work I thought it would be a struggle to get up each morning and head off to work but the reality is that if you love your job it isn't a struggle. I'm not saying it isn't hard to get out of bed in the mornings but I don't dread work. The getting out of bed part just means I need more sleep! For about a year now I have been part of the 'band' at church. I don't play an instrument, I am one of the singers. This past Sunday, along with singing at worship in the morning, we led the singing at our Community Blessing of the Animals. I had Princess Lucy in her pouch on my chest and she was very well behaved. There were lots of dogs and cats but also 2 llamas, a goat and a cockatoo. 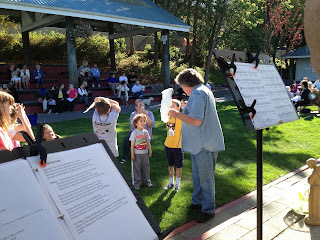 Here you can see the cockatoo as part of the children's message. After the blessing we had a party at our house. A bonus was spending time with my niece, Sarah and her significant other, Josh, who came up for the party on Saturday and spent the night. They also helped with getting things made and set out since I had the Blessing of the Animals right before the party. Luckily the house wasn't too much of a mess and the yard was pretty good. We made a number of tasty treats and made sure there were plenty of beverages and then guests also brought treats. It was an awesome spread! The reason for the party was a final goodbye to my good friend, Karen, and her family. Karen, Louie and their two youngest children left for Japan on Wednesday. Their two older kids are in college and so will be staying here. The party was also a chance for people to get the tour of our daughter's little house on wheels and my garden shed. As far as I could tell, the party was a total success! I have spent some time in my sewing room. I made the following two blocks for the Flickr Quilt Block Exchange. I have received one of my blocks in the mail so far but haven't gotten a picture yet. 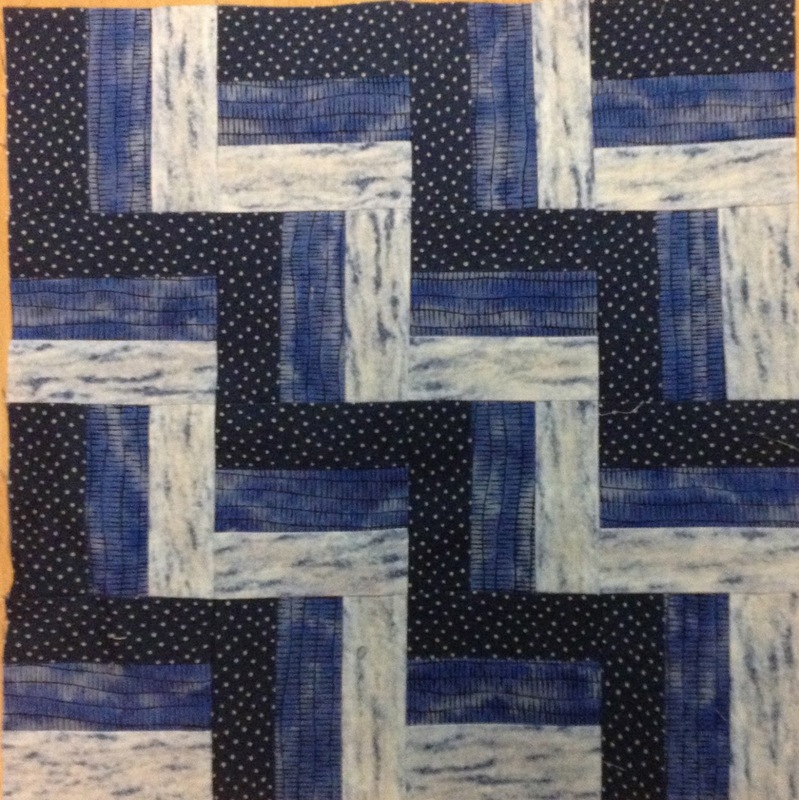 I have the top for the quilt exchange done and have a back for it so I am hoping to get it basted this weekend and maybe even get it quilted. 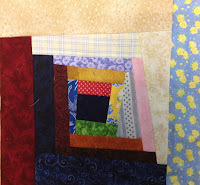 Next week I am heading to the fall quilt retreat so I am working on getting some things together to work on. 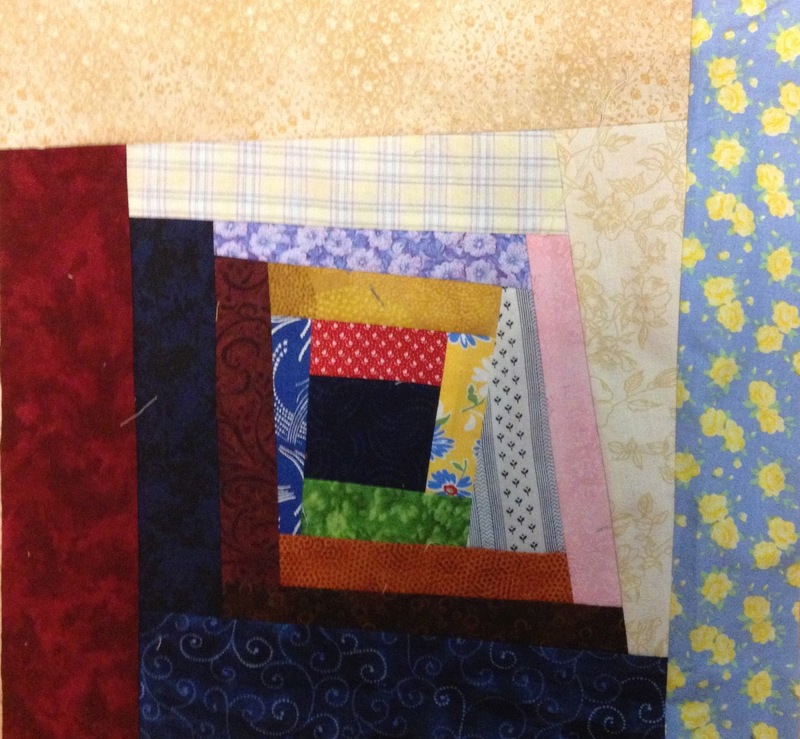 I hope to have everything cut for three tops and then I have at least one quilt that needs a border. I also got a box and a bag of t-shirts to prepare for a quilt this week so that will probably come with. Well, its time to get in the shower and head off to work. Have a great day!